Learning about money is always funner if you can make a game of it! All play and no work you might say, so let's get started with some money games! Skill levels range from youngsters, young adults, and all the way up to money game lovers of old. Let's get started! Take a Road Trip: The money game player learns about different income opportunities and proper spending habits along the way. Ed's Bank: Great for teaching kids about money as they earn money for their piggy bank and then get to spend it at the store! Smart Money Quiz Show: Start out with debt, but eliminate it as you answer financial questions correctly. Good for educating young adults about financial matters. Paying for merchandise should become easier, not more difficult. As we move toward greater advances in technology surrounding the movement of money, merchants lean more toward credit and debit card purchases. As merchants gravitate toward preferring customers to use credit and debit cards, when a customer uses cash it sometimes seems they are less appreciated. My habits are not to slam any particular retailers etc., so I'll leave the name of the retail establishment out, but I'll share my beef about the inconvenience to utilize cash with them. While in line to pay for my purchases the next available cashier waved me forward only to then find out she could not ring up my cash purchase because her register was only set up to take credit and debit cards. She then informed me I would have to wait for the cashier in the next lane to complete my purchase with cash, and then waved to the next customer in line. How annoying to be pushed to the side while paying for a purchase with cash! Unfortunately, it's all signs of the times! Thanks to technology, cash customers are being treated in a less favorable manor compared to those who use credit and debit cards. Sure, I also have credit and debit cards, but for small purchases it's nice to just pay cash, but it is becoming a hassle to use cash with some merchants. 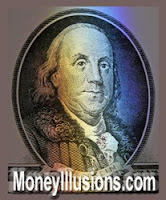 It's also not fun to have your $100.00 bills examined as though you're passing counterfeit bills. Just my complaint for the day! Thanks for hearing my two cents worth! Things are bad enough for the value of the US dollar these days, but the value of the US one hundred dollar bill seems to no longer be worth the hassle! Spending $100.00 bills is no longer an easy task as many retailers and merchants scrutinize your $100.00 bill before accepting your purchase. Spending the US $100.00 bill has become a greater hassle than a convenience, since it's a favorite for the crooks who produce counterfeit bills. So the next time you get cash from your bank, think twice about the $100.00 bill unless you want to be hassled nearly every time you use it or have to wait for the merchant to use their counterfeit testing ink to validate your cash. US bills in smaller denominations, have been one of the most widely used bills for counterfeiting $100.00 bills, so that's obviously why merchants and retailers scrutinize it before accepting it. As for me, I no longer want the hassle of using a $100.00 bill, so it will be $20.00's for me! If you could foretell the direction of a currency pair, Forex trading would be easy. By learning the Forex market price patterns, you can in fact gain some insight as to where the market is going next. Learning to recognize the market patterns isn't as easy as it sounds, but studying images of the market patterns will assist you. After doing a search, this was one of the better articles I found illustrating various Forex market patterns. The article also notes how to set up or place your trade entry for a specific pattern. Happy trading! As one learns to trade the Forex, it's very easy to fall prey to the emotional response to the market, but your emotions are your worst enemy when trading. As an example, when you enter a short position, and if the market went up - the wrong way, it's easy to simply think, "What goes up, must come down!" but with the market, what went up may not come down any time soon! You must know when to cut your losses! Psychologically, we would prefer to think the Forex market will simply turn around quickly, but that's dangerous reasoning when trading. However, even if you have a large number of trades that start to go against you, if you learn to cut your losses quickly you can still be successful as a Forex trader. Sounds like an easy Forex lesson to learn, but it can actually be a tough one! While trading the Forex, to implement proper money management, your number one rule should be to let your profits run, and cut your losses short. In the long run if your losses are less than your profits, you'll be successful at trading the Forex. Thinking back to when I was young and wanting to understand more about money I remember asking, "Why can't they just simply print more money?" Remember asking that same question when you were young? At first it seems like it would be the solution for a bad economy, but it doesn't work that way. Printing more money is not a solution to strengthen an economy, but in fact reduces the value of the dollar. Unfortunately, our Government (our money printers) are thinking about money the wrong way, and they need to grow up! They have printed and released too much money to give us the illusion that it will resolve our economic woes. In this short video, Glenn Beck will bring some light to this issue of printing too much money, and how it devalues the dollar. There are many lessons and tips to learn about trading the Forex. These 40 Forex trading tips and lessons are a result of what I've learned about trading, as a beginner, and from the use of a Forex demo account. So, if you are a beginner level trader, or thinking about becoming one, this list of 40 trading tips and lessons is especially for you! The list is not in any particular order of importance, and later I'll provide additional reading for many of these points. 1. Appropriately select the right Forex trading platform, and preferably a Forex broker without a dealing desk. 2. Select the Forex market indicator tools that work best for you, and watch their market signals. 3. Realize that leading or lagging market indicator tools are not perfect, but still valuable. 4. Learn to trust the market indicator tools more than your market fear, anxiety, or greed. 5. Don't be anxious to enter a market until you have fully determined the proper entry point and direction. 6. Don't allow your anxiety or greed to cause you to be anxious before you determine an appropriate exit. 7. Admit when you're wrong and get out of a trade that goes awry before it gets out of hand. 8. Test, and retest your knowledge and strategies with a demo Forex account before going live! 9. Once you go live, test new strategies with your demo account, not with your real money! 10. Strategies for scalping, intraday trading, or swing trading, must match your budget to avoid margin calls. 11. Don't allow a winning streak to cause you to overlook your true percentage of winning vs losing trades. 12. If you don't know how to trade, don't buy a Forex automated robotic software to do the job for you. 13. Become proficient at proper entry and exits within a Forex demo account, before opening a live account. 14. If you take a wrong position it's best to exit promptly and suffer small losses, rather than hoping for a market retraction, which could eliminate a large sum or all of your equity before the retraction occurs! 15. Start small with the number of lots you trade, but think big since the Forex can result in exponential earnings, or losses. 16. Lack of initial capital can make it difficult for swing trading in order to avoid margin calls, so plan on having a good sum of initial funds to open your account, so you're not undercapitalized. 17. Your attitude about the Forex must be the same as a business mentality - you will experience both profits and losses. 18. Study each time chart prior to entering a trade to confirm the direction and trend of the currency pair you've selected. 19. Become proficient at trading one or several currency pairs rather than jumping around with a variety of pairs. 20. The best time to trade is early mornings when the market has the most activity. 21. If you trade in the afternoons, realize the market moves slower and may result in impatience. 22. If your trades are not closed out the same day you entered, prepare for potential overnight losses. 23. Take the time to evaluate the proper price to set your stop losses, take profits, trailing stops etc. 24. Don't beat yourself up when you lose a trade, but rather re-evaluate why it happened and learn from it. 25. Don't enter the Forex market with a "get rich quick" attitude, which could cause you to become too anxious to make money and result in making incorrect trade decisions. 26. Don't allow anxious feelings to cause you to enter into a trade too early. 27. Use your Forex demo account when you're unsure about your strategy so you only lose play money, not real money if you're wrong. 28. A Forex demo account is the best place to learn from your mistakes so the price you pay for your mistakes is only lost time, and not money. 29. A Forex demo account provides you with the ability to learn from indicator tools and your strategies, right or wrong. 30. An important purpose of using a Forex demo account is to learn how to train and control your trading emotions, so you don't allow your emotions to control your trading, which will generally result in losses. 31. One of the most difficult Forex trading lessons to master is learning to control your trading emotions. 32. Trading the Forex naked (without indicator tools), using price action and pattern recognition helps to eliminate emotional trading decisions, and to increase profits. 33. Trading the Forex based on price action saves you time, and helps to eliminate market anxiety. 34. Always be mindful of proper money management while trading. Don't allow market greed to push you to trade too many units, or too large of a percentage of your equity at any time. 35. Quit when you're ahead and take a break, it's not possible to win every trade. 36. Realize that indicator tools will not teach you how to trade, but rather will be like a crutch. 37. Learn to trade without indicator tools and learn to recognize candle patterns and market reversals. 38. Don't be anxious to open a live account until you have proven your ability to be profitable by practicing with a Forex demo account, which works like a trading simulator. 39. Watch to make sure your trading emotions such as anger don't take over and cause you to become self-destructive with your trading. 40. Realize that your success with trading the Forex will depend a great deal on whether or not you can master your trading emotions, positive or negative. Happy trading! This completes my list of Forex lessons and tips in summary, and I hope you found it to be helpful. If so, please leave a comment! Thank you! Selecting the best forex broker, and the best forex trading platform will be the most critical and important decision you'll need to make when you decide to trade currency. Your selection will make a huge difference in regards to your success as a trader, so be sure to take your time to determine which broker, and trading platform will best suit your needs. Simply due to name recognition from years ago, the first broker and free demo account I decided to test was Forex.com, which is aka Gain. After utilizing their free demo account, this is my personal review of Forex.com and their trading platform, "ForexTrader". Please keep in mind my review is a result of my own personal testing of their free forex trading demo account, and not a live account using real money. Although I appreciate the business perspective of a company wanting to secure the business of a new prospect, multiple phone calls to that prospect are annoying. I received more than 3 phone calls from one of their representatives attempting to convince me to choose them as my forex broker. In one of the conversations I mentioned the name of one of the other forex brokers I was also researching and the Forex.com rep then attempted to inform me as to why I shouldn't go with their service. Her tactics turned me off, but that was only one reason I eliminated Forex.com from my choices. In that a dealing desk can affect my financial outcome, I decided to move on to other potential non-dealing desk brokers. No sense in having the odds of winning trades stacked against me! 3. The Price You See is Not Always What You Get When Closing a Trade! I realize the market changes quickly, and often when a trade is closed it can be lower or higher than what you saw on the screen seconds before. However, numerous times while attempting to close a trade a prompt box comes up and indicates there is a price change. You then have to close out the prompt box before you can make another attempt to close the trade. I found this quite an inconvenience and a concern. Perhaps it is a result of what they do at the dealing desk? I don't know, but what I do know is that on one trade when I attempted to close out at $1,100.00 their annoying price change box came up and by the time I clicked it closed to again choose to close the trade, the value dropped down by more than $200.00. If it were real money and not a demo account, I would have been quite angry! Their trading platform is not desirable, especially in comparison to more savvy forex platforms available. You have very limited graph selections, and very limited tools or other methods for customization. Their reports I had access to for viewing my trades and account values, were well done. Other than their reports, I've ruled Forex.com out as a potential forex broker. If they want to compete with the mainstream they need to eliminate their dealing desk, and update to a better trading platform! Come back and visit again to read about my additional forex broker and forex trading platform reviews I'll post in the next several weeks. Happy trading - or better yet, stick with just a demo account so you don't lose real money! Trading on the forex (foreign exchange) is exhilarating! I've been practicing my forex entry and exits, and I'm becoming much more proficient at swing trading. At first I didn't practice much swing trading because my main focus was on learning the proper entry and exits, so I was scalping. Now that I'm learning more about applying the Elliott Wave theory, it also makes swing trading a greater opportunity for profitability, with less profit loss, but it will take some time to learn how to recognize the forex market wave patterns. It's quite fascinating to say the least! Scalping is the easiest to learn initially, but scalping takes a great deal of time to make the right entry and exits. Also, some brokers will not allow you to perform forex market scalping, so swing trading resolves that issue. If you plan to do scalping, you'll want to select a broker who is okay with trade scalping. However, keep in mind that swing trading is more profitable with less work and time at the computer. Swing trading provides you with the ability to get away from your computer with peace of mind that your trade won't go awry, that is of course assuming you properly set your stop loss, take profits, trailing stops etc. I'm having fun learning the forex, how about you? The vast majority of people don't have money to burn, but if you make use of a free forex demo account, you'll be able to do just that - burn money! If you plan to trade currency you'll absolutely want to begin by using a demo account, or numerous demo accounts to test your trading skills, and to determine which forex trading software will work for you, and which broker will be best for you. Before you get too excited about jumping into trading currency, you must be aware that like anything else that involves an investment of capital, you can lose a great deal of money if you're not careful. The upside of course is that you can also make a great deal of money by trading currency on the forex. Volatility is a word that should come to mind as you determine if it's right for you. In my first post about the forex, I mentioned some things I'll be sharing with you about the forex, so let's get started! First off, I'm by all means no expert, but that's the advantage here for you if you're not either, because I'll be explaining things in an easy-to-understand manner for the beginner. I've found much information online about trading on the forex, but some is written in a too well advanced manner if you're a beginner like myself. To begin your forex journey, you'll want to determine which brokers you may consider. The first thing you need to keep in mind is that you will need to select a broker where you reside, not in another Country. Therefore, you should only select a demo account from a broker you would possibly consider. Once you select a forex brokers demo account, the fun with play money begins! Keep in mind that the play money forex demo account will enable you to trade large amounts of units, which may far exceed the working capital you will actually have if you should decide to jump into the live currency exchange market! Be conservative with your approach even while using the demo software. In other words, trade currency in the number of units that would be realistic for what your amount of capital will allow you to trade. That way when you suffer a loss you'll know a realistic amount for the profit loss, and when you profit you'll know a realistic amount that you would profit. Make sense? Secondly, remember that your goal of using a forex demo account is to enable you to learn to trade, and that what you earn or lose is not the important factor, but instead learning to trade! Of course you'll want to learn to become proficient with your trading, but the point I'm making is that the forex demo account is where you need to learn from your mistakes! So, have fun with it and don't get too hung up on how much money you lose, or how much you gain. Instead let your focus be on what strategies enabled you to win, or caused you to lose. Trading currency on the forex is not something that a normal person can learn overnight, but rather over weeks, and most likely months, depending on your aptitude and time you have to invest in learning. Therefore, be patient and don't be anxious to switch from a forex demo account to a real live trading account! It will take time to learn! Money is a fun topic to discuss with kids, and should be taught at an early age. One way kids love to learn about money is through games. Here's an online coin game you and your kids could have fun with! You might also want to check out the opportunity to teach them about counting change with coins and dollar bills. Earlier today I shared my first post in regards to the forex market, and promised to share some of my experiences. Today my experience has taught me to stay away from the a frustration I learned yesterday - don't trade during a sideways forex market where most currency pairs neither go up or down! The lesson I learned yesterday was repeated today, and now I finally have it in my brain that it's simply best to not trade during a sideways market - lol! Although I made some profits with my forex demo play money account this morning, attempting to participate in a sideways market made it difficult and resulted in greater losses. Best lesson to learn from a sideways market is that you will have a difficult time determining what the tool indicators would normally forewarn or alert you to do! So, I have made the decision to stay out of a sideways market, which I believe is a good thing!